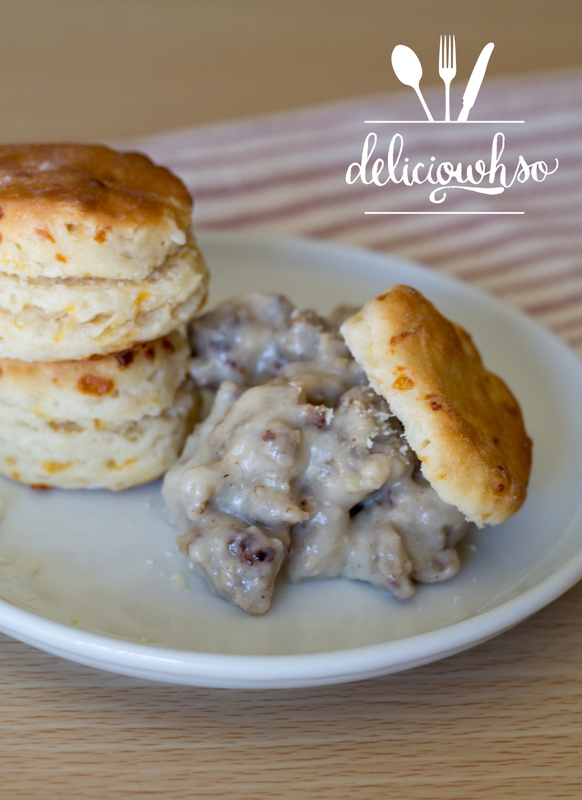 I wasn't a huge fan of sausage gravy until I went to a brunch place in Atlanta called Homegrown a couple of years ago. If you're local, you should definitely head there. They have this decadent platter with a flaky biscuit, crispy fried chicken, and a generous portion of this heavenly gravy. It actually sounds like a near-disaster for me, with all those things touching (if you don't know me, I am not a fan of food touching if they're not supposed to be). But, once I tried it, I realized that you really can't have a chicken biscuit without some sausage gravy. Now, I dont really understand how biscuits can be served alone. I can't imagine a biscuit without gravy... It may be a southern thing, but it is so delightful, and anyone who hasn't tried it is missing out. It's not the most appetizing or pretty thing, since it's gravy with sausage chunks, but it completes any brunch. I had to make it a priority to try creating this treat! 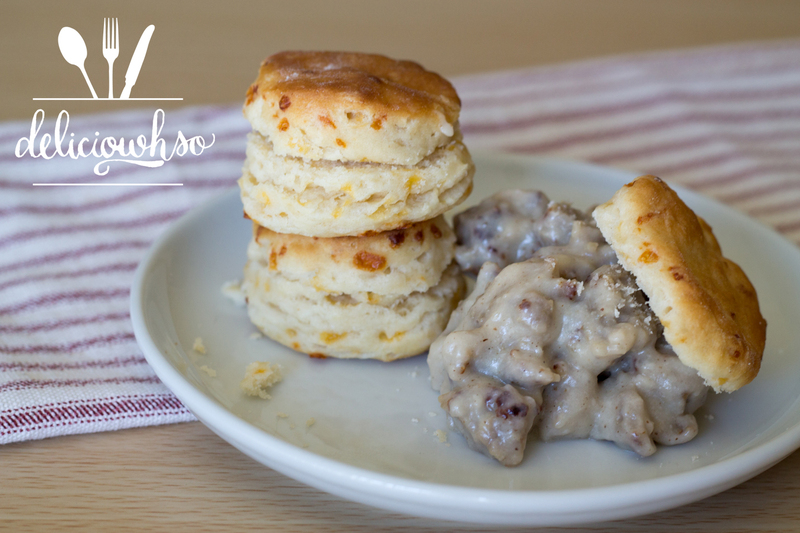 Lucky for me and you, sausage gravy is extremely easy to make at home! 1. In a frying pan or cast iron skillet, brown the sausage. Cook about 90% of the way. 2. Add the flour to the sausage that has browned, and then add the milk. 3. Allow the mixture to thicken slightly. Then, add maple syrup and salt and pepper to taste. 4. Mix thoroughly and remove from the heat. 5. You can serve immediately, or store in the fridge for up to a week. I love to have this gravy with a biscuit (recipe here) and a perfect sunny side egg (recipe here). You really have to try this. The runny yolks and gravy make for the richest breakfast you can enjoy in the south!